There’s been a lot of perfectly justifiable talk about Donald Trump pulling the entire Republican field to the right on immigration policy, and particularly the “birthright citizenship” issue that was mainly of interest to nativist cranks until recently. 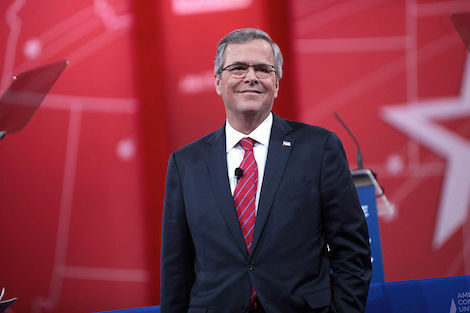 Jeb Bush doesn’t want birthright citizenship to go away, but he is calling for stronger enforcement for people who abuse it. These are the sort of questions I suspect Trump himself will address to Bush when he gets around to it on his list of Jebbie-baiting remarks. If Bush is going to be the “responsible adult” in the GOP field, he really needs to avoid saying things that indicate he’d really like to get down there in the playpen.